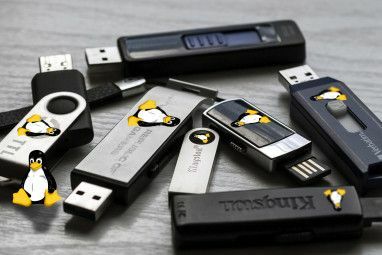 For Linux power users, it’s highly desirable to be able to completely customize your system. Sometimes, that can be best achieved from the start — by piecing together the components that you’d like to include on your system. This way, as there are usually multiple programs that achieve the same result in different manners, you can pick those applications which you’re most fond of. Having to piece together can also let you take a deeper look at the system for maximum control. Most common desktop distributions don’t make this high level of customization very possible (as it’s not ideal and more difficult), but Arch Linux isn’t like most distributions. Arch Linux is a completely independent Linux distribution that isn’t based off Debian Debian: Enjoy One Of The Most Stable And Trusted Linux Distributions Debian: Enjoy One Of The Most Stable And Trusted Linux Distributions There are plenty of Linux users out there who are using distributions such as Ubuntu or one of the many distributions which are based from Ubuntu, including Linux Mint. However, no matter what you're using,... Read More or Fedora Fedora 19 "Schrödinger's Cat" Is Alive And Full Of New Features and Improvements Fedora 19 "Schrödinger's Cat" Is Alive And Full Of New Features and Improvements Joy to the world, a new version of Fedora codenamed "Schrödinger's Cat" has been released! In the past, Fedora has provided leadership in the open source community, holding up to strict open source policies, continuous... Read More or any derivatives of both. Instead, it creates its own packages, uses its own package manager (aptly named pacman), and holds its own project principles. Under Arch Linux, the KISS principle applies — “keep it simple, stupid”. 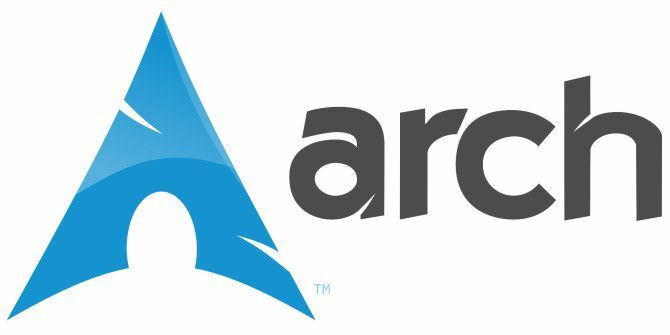 This little phrase simply means that the idea behind Arch Linux is to keep things on the system as simple and straightforward as possible through “simple” configuration files. Again, this holds true for power users who know what they’re doing, and not necessarily Linux newbies. If that still doesn’t make sense, Arch Linux tries to unobscure the dirty insides of the operating system that is usually hidden by a graphical user interface. 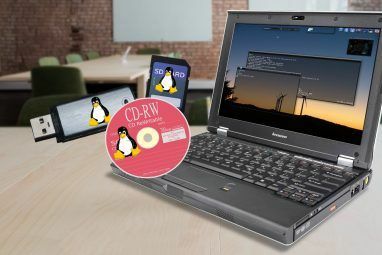 Under Arch Linux, there are absolutely no defaults when it comes to software — the only “defaults” would be the Linux kernel and other assorted tools that fall under Arch Linux’s base that you need to install (or be plagued by a nonfunctional system). The installer also isn’t as easy as you’re maybe used to because it is all completely text-driven. However, once you have installed the base tools and maybe the base development tools that let you compile code, you reboot into your newly installed system, only to be greeted by a blinking text cursor. From here, you’ll need to set up everything from the graphical server and related graphics drivers to the desktop environment to the sound setup, assuming you’re trying to build a desktop system. Otherwise, you’d be looking into setting up multiple servers that can make your system useful. Essentially, it’s already that very early point where you can choose your system’s fate and install the appropriate hardware. It also gives you a lot of appreciation for what sort of software goes into making a desktop or server fully functional. After a bit of work, you should finally have your system in the state you want it to be. Again, what this looks like is completely dependent on what you want to have on it. All of Arch Linux’s software can be found in its repositories, which is easily accessible through the pacman Terminal utility. From here, you can install, remove, and upgrade software as you’d expect. Do note that, in line with Arch Linux’s philosophy, there is no official graphical tool to control pacman. There may be a few utilities here and there that may or may not work, but any committed Arch Linux user will highly object to their use. Speaking of software, there’s plenty of it available. If it’s not in the official Arch Linux repositories, there’s also an AUR (Arch User Repository) which contains installation scripts for various software that just about anyone can upload. You do need a different tool to install AUR software similar to pacman (I suggest using yaourt), and AUR software needs to be compiled while official Arch Linux packages already contain compiled binaries. The software included in both the official repositories as well as the AUR are very much up to date, so you’ll always be using the latest and greatest software at an acceptable level of stability. Because there are also no true releases of Arch Linux (besides monthly ISO snapshots so that it’s easier to upgrade to newer packages after installation), the distribution runs on a rolling release, so you’re all good to go if you simply upgrade all of your installed packages. To get a better idea of Arch Linux, you’re more than welcome to check out our guide to installing Arch Linux How To Install Arch Linux On Your Computer [Part 1] How To Install Arch Linux On Your Computer [Part 1] During my couple of months here at MakeUseOf, I've mentioned Arch Linux (hereafter simply called "Arch") a couple of times. However, Arch has never really been covered here, so people may still be a little... Read More (although much has changed so an update is highly needed; check the Unofficial Beginner’s Guide or the Official Installation Guide on Arch Linux’s website for the most up-to-date information), as well as ArchBang ArchBang Is Lightweight & Always Up To Date [Linux] ArchBang Is Lightweight & Always Up To Date [Linux] Install a lightweight operating system that's always up to date. 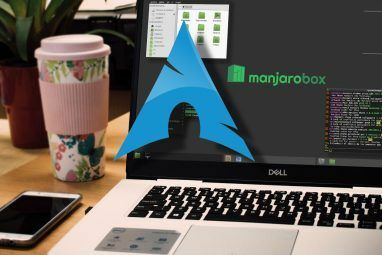 Featuring the speedy Openbox desktop and built on the rolling release Arch Linux, Archbang delivers both minimalism and up-to-date software. Best of all, it's a... Read More , a distribution based off of Arch Linux which makes it much easier to install Arch Linux on your system. Don’t forget, you can always play around with distributions within a virtual machine to prevent issues on your actual machine, especially if you’re a beginner. What do you think about Arch Linux? Are regular releases or a rolling release a better idea? Let us know in the comments! Explore more about: Arch Linux, Linux Distro. Eh, it's not very difficult, especially with guide in hand. But it definitely takes some time. Haha, "aptly named pacman". Nice pun! aptly... as in apt/apt-get or aptitude?